If you are looking for a medical spa offering non-surgical, medical aesthetic procedures in a calm environment with a focus on the uniqueness of each patient, look no more. At Soma Medical Spa, our patients will benefit from our extensive understanding of the interplay between wellness and beauty. We are proud to offer cosmetic injectables, IPL skin rejuvenation, laser hair removal, HydraFacial MD, chemical peels, and physician-directed skin care. 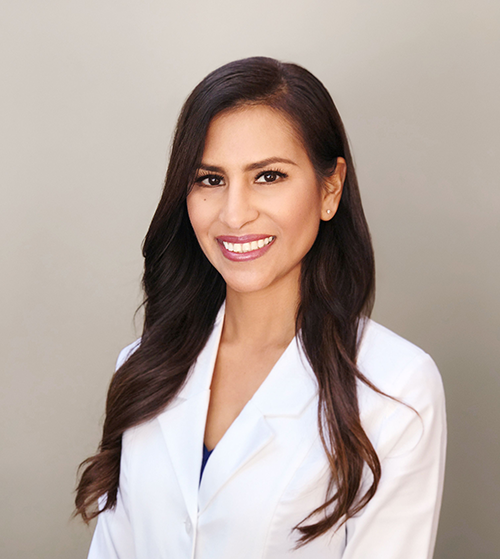 Meet Dr. Julieta Moran, one of our two highly experienced doctors who are here to provide you with quality care. Dr. Moran was born and raised in Southern California. She received her Bachelor’s degrees in both Biological Sciences and Anthropology from the University of California, Irvine. Dr. Moran attended medical school at the Keck School of Medicine of the University of Southern California and completed her residency in the emergency department at the elite program of LAC+USC Medical Center. Dr. Moran is board certified by the American Board of Emergency Medicine and is a fellow of the American Academy of Emergency Medicine. Dr. Moran developed a keen interest in aesthetics, anti-aging, and wellness, and went on to receive medical aesthetic training at the Esthetic Skin Institute and the International Association for Physicians in Aesthetic Medicine. She also received Spa and Hospitality Management Training at the University of California, Irvine. She remains an active member of IAPAM, the American Medical Association, and the American Med Spa Association. Our physicians and staff at Soma Medical Spa are dedicated to what they do best, making people more comfortable in their skin. We take pride in staying up-to-date with the latest cutting-edge technology and aesthetic medical procedures to better provide you with quality, customized care that will exceed your expectations. When you visit us, we will provide you with a personalized evaluation to discuss your aesthetic goals and create your individual, unique skin care plan. Dr. Moran and her team would like to welcome you to Soma Medical Spa, your destination for state-of-the-art health and wellness services. We proudly serve the communities of Glendale, Eagle Rock, Pasadena, Highland Park, Burbank, and the greater Los Angeles area. We are proud to offer our patients treatments that run far deeper than the skin. Our procedures have long-term benefits for the skin, overall health and general well-being of our patients. We strive to deliver outstanding services to you, every time you visit us!